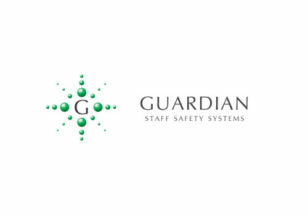 With numerous care homes being constructed within the islands and future schemes predicted, C8 have been appointed as the Channel Islands nurse and warden call systems for all Guardian projects. Guardian are the leading UK supplier for numerous care home facilities and C8 will provide a complete package for all supply, installation and service requirements for the entire range of products. Following a series of training courses in the UK, C8 can now ensure that these critical systems are supported fully, within the islands. 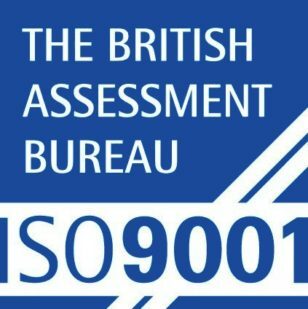 After successfully completing the required entry requirements for ISO9001 accreditation, C8 are progressing with the required external audits from independent sources. Receiving the accredited ISO9001 award will increase our internal efficiencies and will eventually benefit our clients. A unique battery operated door access system is now available for the Channel Islands. The systems can reduce the large labour costs associated with traditional access control systems by up to 75% and are widely used in refurbishment schemes. Salto provide a huge range of locking mechanisms for military use, down to a simple bike lock, which can all be controlled from a mobile phone. 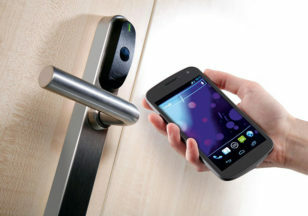 Please contact Ian@wearec8.com for more information on these new options for your door access control systems. Rob Waters has joined the C8 management team and his 10 years’ experience with designing and project managing small to medium sized installations will complement our existing team of managers. Rob is a qualified Building Services engineer, having qualified at Southampton City College and an experienced AutoCAD operator. 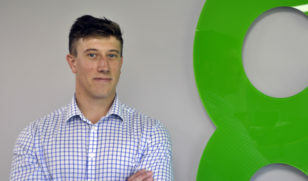 Rob further continues to provide future continuity for our clients’ requirements and we welcome Rob to the C8 team.